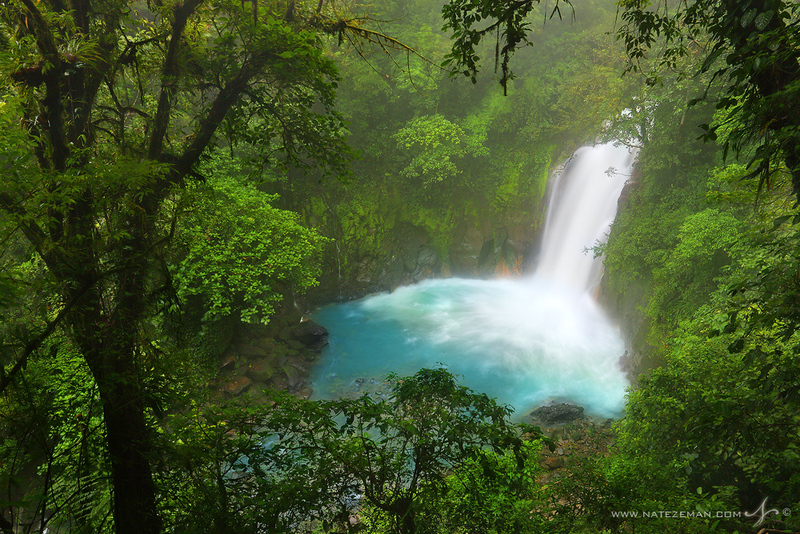 Deep inside the cloud forest of Tenorio Volcano National Park runs the Rio Celeste, one of Costa Rica's most impressive and curious natural wonders. The impossible blue color of the river is due to a simple chemical reaction. Sulphur emitted from volcanic activity below mixes with calcium carbonate, giving Rio Celeste this otherworldly look. The turqouise river twists and turns through emerald green rainforest, at one point dropping over an impressive waterfall.